Brewshot Café, a one-of-a-kind coffee shop and restaurant, is set to open its next Jersey City location at Vantage, the luxury rental building in downtown’s Liberty Harbor North neighborhood. Fisher Development Associates, developer of Vantage, announced today that the gourmet shop has signed a lease to occupy 815 square-feet of ground floor retail space at the 45-story waterfront building. The new Brewshot location will feature two separate entrances, a street-level storefront to accommodate pedestrian traffic, as well as direct entry from the Vantage lobby for its resident base. Brewshot provides the best elements of the classic Italian coffee culture and offers a wide selection of organic, fair trade coffee and tea and freshest baked goods. Located at 33 Park View Avenue, Vantage features 448 apartment homes providing its retailers access to a large pool of built-in consumers. Brewshot will join Park View Academy, an innovative new daycare facility, as commercial tenants at Vantage. 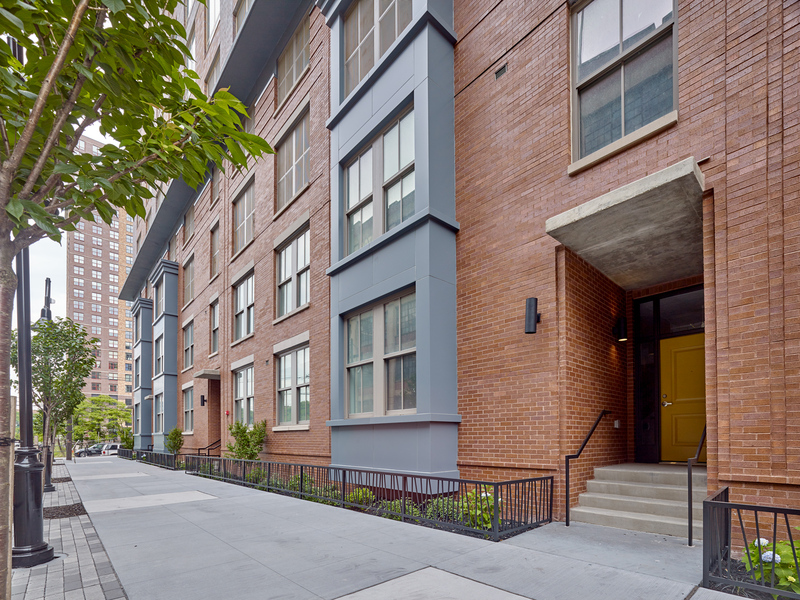 Vantage offers studio, one- and two-bedroom homes, many with magnificent views of downtown Manhattan, the Statue of Liberty and Liberty State Park. Homes are priced from the low-$2,000s and boast floor-to-ceiling glass windows to bath homes in natural light and maximize its incredible location. Apartments range from 550 to 1,300 square feet of living space and provide designer interior features, including nine-foot ceiling heights, kitchens with wooden cabinetry and quartz countertops, master baths with double sinks and showers with glass enclosures, an abundance of closet space, wood flooring, recessed LED lighting, in-home washer and dryer units and cutting-edge energy-efficient systems. Enhancing residents’ lives is a full suite of indoor and outdoor social and recreational amenities, including a 24-hour Concierge, cyber café, state-of-the-art health club, children’s playroom, business center, conference room, screening room, dining area and an enclosed parking garage. A sixth-floor outdoor amenity deck features a zero entry swimming pool, lounge, landscaped area and full-court basketball court, while the Vantage Point Sky Lounge on the 45th floor offers a social space with incomparable views. The Marketing Directors is the exclusive marketing and leasing agent for Vantage.